Julia, new Sesame Street character with autism. American children’s programme Sesame Street will introduce a new character to the neighbourhood in the form of a little girl named Julia who has autism. The award-winning show introduced Julian to Sesame Street on Wednesday in a bid to raise awareness for the common neurodevelopmental condition. 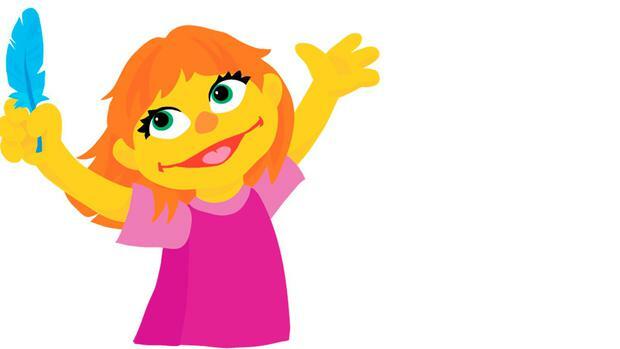 The character, who has red hair and green eyes, will join the show as part of Sesame’s Streets new online initiative ‘See Amazing in all Children’. The aim of Julia’s introduction to the show is to educate children in how to identify and respond to common behaviours associated with autism spectrum disorder (ASD). "Your brain lets you understand everything you see, hear, smell touch and taste," the site explains. "The brain of a person with autism works differently, and that can make it hard to talk, listen, understand, play and learn in the same way that others do. "It's OK to be curious about people different from you." Sesame Workshop's Sherrie Westin revealed that the initiative is a way to open up the sometimes difficult topic of autism. "We want parents and children to understand that autism isn't an uncomfortable topic," she said. "We want to create greater awareness and empathy." "Our goal is to bring forth what all children share in common, not their differences," she said.